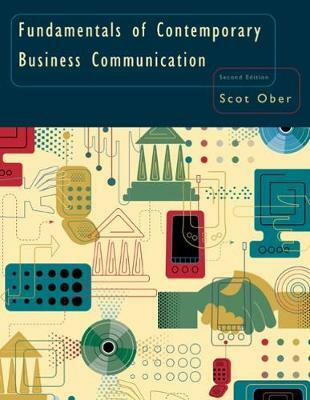 Fundamentals of Contemporary Business Communication distills the basic concepts of successful business communication, placing significant emphasis on grammar and mechanics. The author's hands-on approach--including the unique 3Ps (problem, process, product) model--connects topics, examples, and exercises to the modern workplace. Fundamentals combines the traditional textbook format with a workbook, allowing students to immediately test, apply, and reinforce the basics of business communication. The Second Edition continues the author's integrated approach to grammar and mechanics. Language Arts topics appear in every third chapter to introduce or review the basic rules of usage. Part VI of the text includes five modules: Sentence Structure; Business-Style Punctuation; Verbs and Subject-Verb Agreement; Using Pronouns, Adjectives, and Adverbs; and Mechanics in Business Writing. These modules are close to chapter length and are more thorough than the brief reference manuals that appear in other texts.